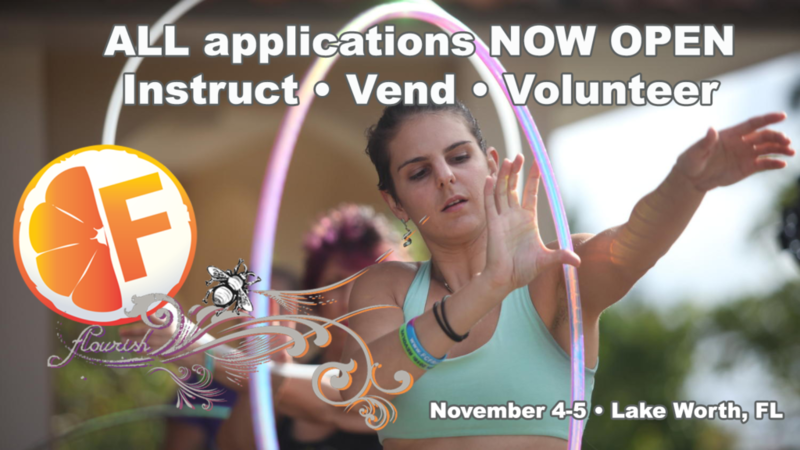 This year, thanks to Exuro Piechocki’s Flow Curator skill and sage advice, we have opted to use 1 application….and 1 app ONLY, which applies for ALL Flow Fests events. 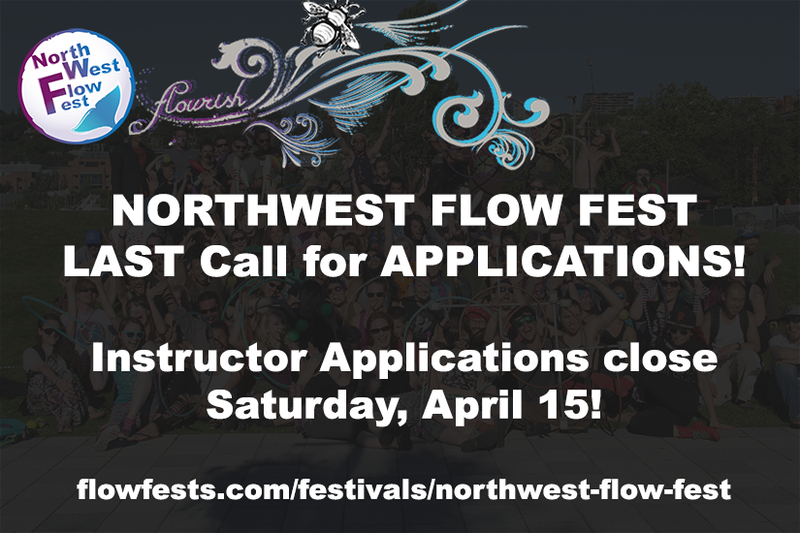 Please note: the deadlines above apply ONLY to instructor applications… VOLUNTEER APPLICATIONS are NOW OPEN for Northwest Flow Fest, Midwest Flow Fest & Florida Flow Fest. VENDOR APPLICATIONS are NOW OPEN for Northwest Flow Fest & Florida Flow Fest (coming soon, MIDWEST FLOW FEST!). Flow Fests says: THANK YOU!